Mobile pico and small home pay-go off-grid solar provider Fenix International has doubled its customer in Uganda over the past 12 months, providing further evidence of solar power’s clean energy and sustainable development potential in industrializing and non-industrial nations worldwide. More than 8 in 10 Ugandans lack access to grid power, according to official statistics. 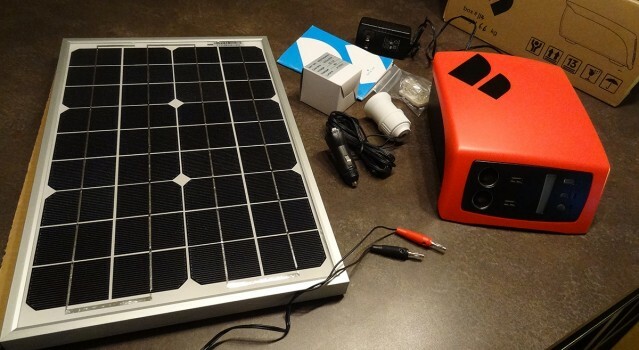 Venture-backed Fenix celebrated serving its 10,000th Ugandan off-grid solar customer in 2014. On Jan. 23 management announced its customer base in Uganda had reached 100,000. Some 600,000 Ugandan households now have access to safe, reliable and affordable emissions and pollution-free electricity – 1.2-MWs worth – thanks to Fenix’s ReadyPay Power high-efficiency solar products and services. Offered at costs comparable to existing local fossil fuel sources, Fenix’s ReadyPay mobile pay-go solar product and service line is affordable. In addition, it reduces budget uncertainty by eliminating the variability of home energy costs – a benefit that enables Ugandan families to be more confident regarding financial planning and budgeting. Average daily wages in Uganda average around US$2.00. Employing a pay-to-own business model, Fenix’s customers pay the local equivalent of just $0.15 per day for the company’s entry level product, which costs $160. They make their first micro installment payment to unlock the system’s home battery and assume ownership after making micro payments for 36 months, the company explains. Significantly, switching to solar is also yielding substantial benefits in terms of human and environmental health and safety. The deleterious health and safety effects of kerosene lamps are well known and include burning down the house, literally. Fenix estimates that more than 200,000 kerosene lamps have been taken out of use as a result of ReadyPay solar uptake. Household solar energy use also reduces the likelihood of deforestation by reducing demand for charcoal, another widely used fuel-energy source. Reaching the 100,000 customer milestone raised the total dollar value of Fenix’s solar leases to over $20 million. 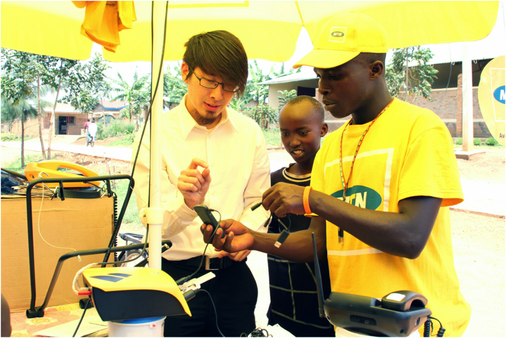 In addition, ReadyPay solar customers had generated over 2.5 million mobile power payments to date via MTN’s m-payments service. MTN is the largest wireless telecoms provider in Africa. Perhaps most significantly, mobile pay-go solar products and services such as ReadyPay are providing fundamental, environmentally friendly and socially inclusive energy services that open up a wealth of opportunities for Africans to improve their lives, livelihoods and living conditions. “Since we started selling ReadyPay on the pay-to-own model in 2014, we’ve seen exceptional demand. I’m incredibly proud of our team, who’ve worked hard to reach last mile customers in this underserved market and relentlessly provide an exceptional customer experience,” CEO Lyndsay Handler said.